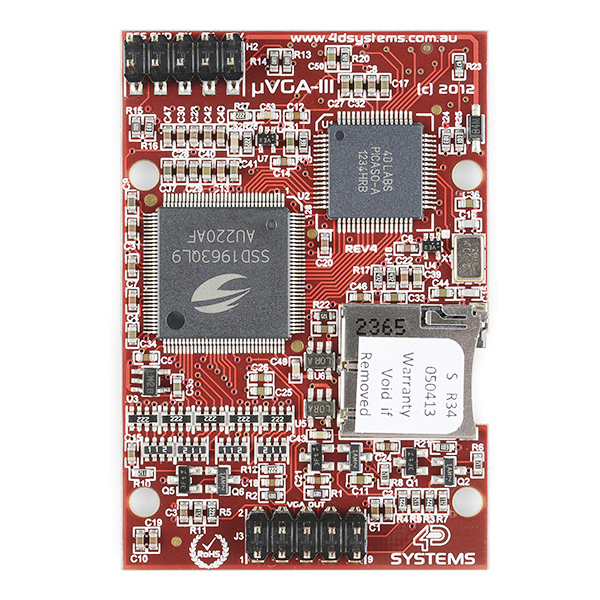 The μVGA-III module is a compact and cost effective standalone VGA graphics engine powered by the PICASO graphics processor. 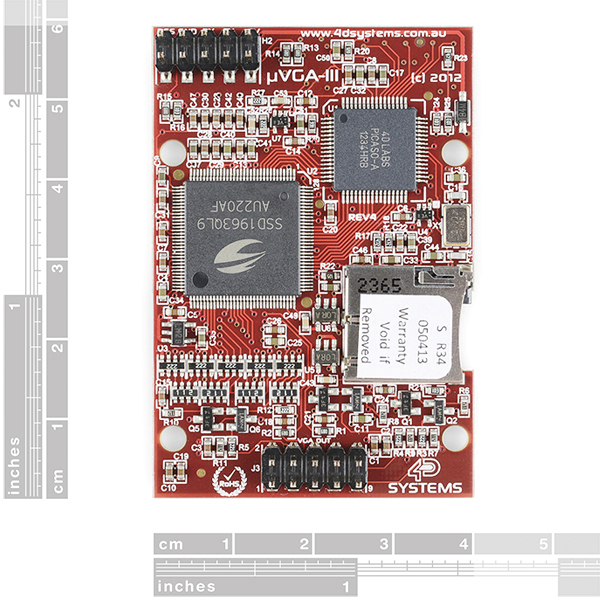 It can provide a QVGA/VGA/WVGA graphics solution to any embedded project with its powerful graphics, text, image and animation capabilities, along with countless more features built inside the module. Simple VGA interface to variety of monitors and LCD screens. 2 x Asynchronous hardware serial UART ports (COM0, COM1), TTL interface, with 300 to 600K baud. 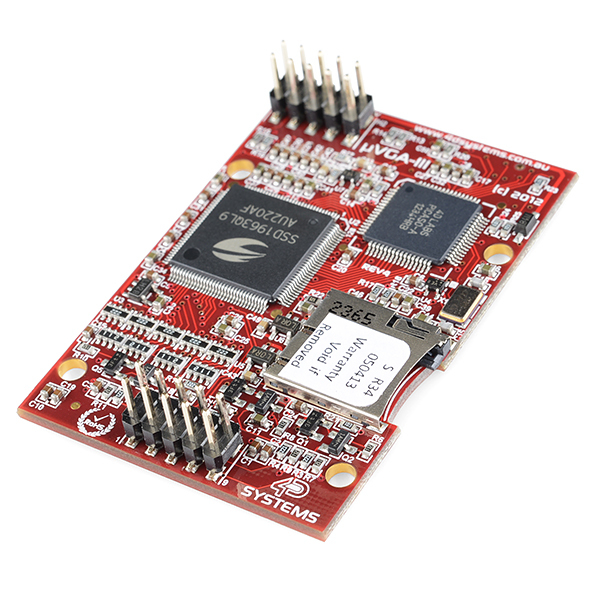 On-board micro-SD memory card adaptor for multimedia storage and data logging purposes. HC memory card support is also available for cards larger than 4Gb. VCC, TX, RX, GND, RESET. commands. 2 x Asynchronous hardware serial port, TTL interface, with 300 baud to 256K baud. Dedicated Line-Level PWM Audio pin driven by WAV files from micro-SD card. 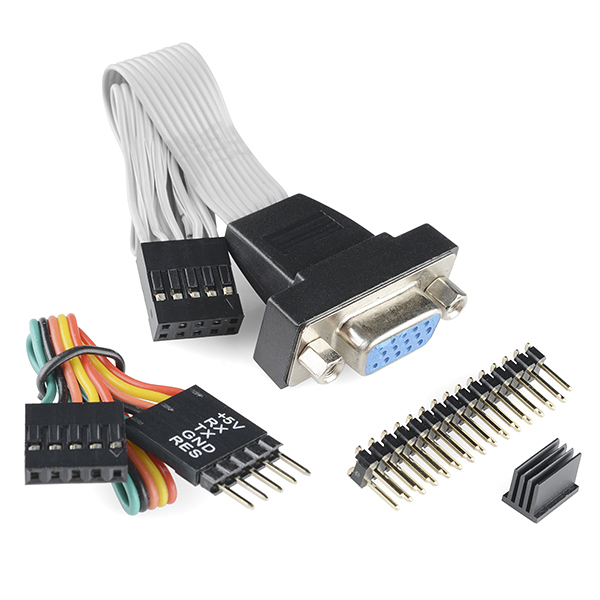 15 pin D-type standard VGA connector to interface to any external VGA monitor, on a remote and detachable cable. 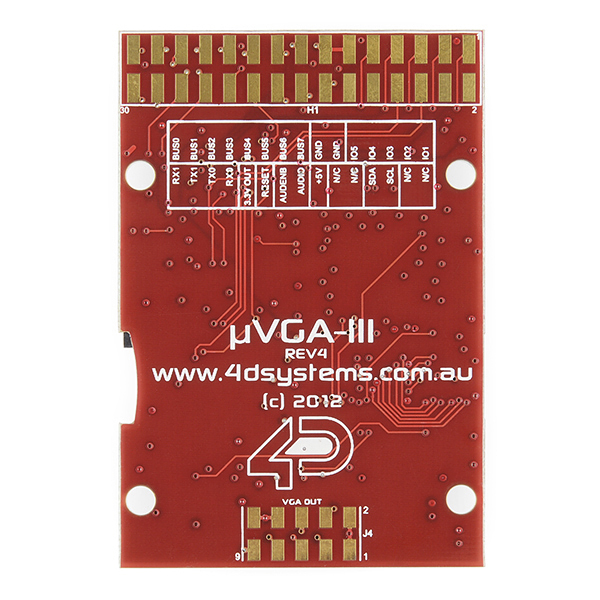 Does the Î¼VGA-III work with the ViSi-Genie Arduino library?